Unlock Samsung ATIV S - Safe IMEI Unlocking Codes for You! 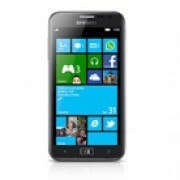 Unlock Samsung ATIV S Handset! In case your ATIV S doesn't ask for the code and there is no designated field to enter it, please DON'T PLACE ANY ORDER, contact us first for support. Are you looking to unlock your Samsung ATIV S cell phone? If yes, SafeUnlockCode can do that for you with our Unlocking Fast and Safe Service! Our process is easy and 100% Guaranteed to unlock your device! Once you receive our 8 digit Samsung Unlock Code (Network code) and easy to follow instructions, your Samsung phone will be unlocked in less than 2 minutes! Our unlock codes works for the latest models of Samsung including Samsung Galaxy S, Galaxy II, Galaxy III, Galaxy Note, Infuse 4G, Omnia and many more! We are able to unlock the most GSM Carriers including At&t, T-Mobile, Telus, Vodaone, Orange, Rogers, Fido, Bell and many more. We use the same method Networks and Carriers use to unlock your device and charge you $50 or more! How to Unlock Samsung ATIV S Phone - Tutorial! Please find bellow the steps you need to follow in order to unlock your Samsung ATIV S phone. NO technical skills required! 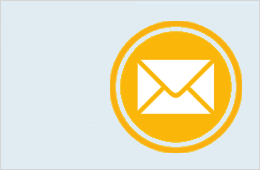 Do you have code for Samsung ATIV S Connecticut Telus? do you have code available for Samsung ATIV S from Macau SmarTone?? Do you offer refunds if the codes will not work properly?